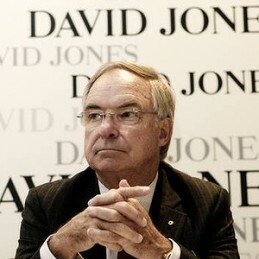 Bob Savage is recognised as one of Australia’s most authoritative business leaders. Robert Savage is the former CEO of IBM Australia, Chairman of David Jones, Chairman & Independent Director of Perpertual Trustees, a Board Member of Fairfax Media and an Advisory Committee Member of the Sydney Faculty of Economics and Business. In addition, he has held directorships in Smorgan Steel Group Limited (April 2000 to August 2007) and Mincom Limited (Chairman) (May 2002 to May 2007). As a senior executive in Australia and the Asian region and a non-executive director and chairman across a wide range of Australian companies, Robert Savage has gained an in depth knowledge of strategies for successful people management, organisational change and effectiveness. Having gained 35 years international experience with IBM in marketing, finance, software development and general management, he is able to offer an expert view of the role of IT in a global business context, particularly in relation to electronic commerce. Robert Savage was instrumental in the reinvention of IBM as a market leader during the mid to late 1990s. As Chairman and Managing Director of IBM Australia and General Manager, Australia and New Zealand, from May 1996 to June 1999 Robert was integral to streamlining and expanding the company. He worked to refocus the management structure, taking it from highly divisionalised to a team-based culture. Revenue doubled to over A$3 billion while staff numbers more than trebled. Robert Savage supervised the establishment of IBM Global Services Australia Ltd., a joint venture with Telstra and Lend Lease, that has become the largest IT services provider in Australia. In 1998 the company was recognised with a Prime Minister’s NSW State Award for its progress as an employer in the area of diversity and work practices and for employing physically-impaired workers. Prior to that he was Chairman and CEO for IBM Hong Kong, China and Taiwan. Robert Savage turned the flagging China division into a profitable business, with consistent growth in excess of 100% per year, established several manufacturing and software joint ventures and a division of IBM Research in Beijing. Robert Savage is uniquely positioned to speak on the impact and implications of technology on business, leadership, management and organisational structures.